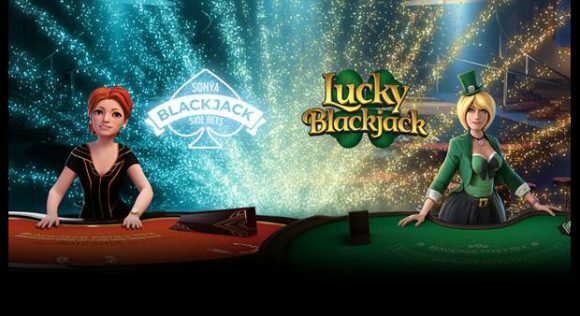 Swedish casino game developer Yggdrasil Gaming announced this week that they’ve released two new online blackjack games with Lucky Blackjack and an updated version of Sonya Blackjack, which came out last year. The two games allow players to interact with a 3D dealer, which brings a bit of personality to games that can otherwise seem a bit sterile. The games allow for solo play as well as multiplayer, with up to three available at a table at any given time. Lucky Blackjack features an Irish dealer named Lucky, and also has a bit of a different table layout than the other game. Sonya Blackjack’s dealer name is, you guessed it, Sonya, and is pretty much the same game that came out last year, albeit with a few new features. Both games have crisp animations and allow players to set pre-decisions on hands. There are also instant replays available, which let you watch replays of your big winning hands. Both games are available now on desktop and mobile devices at casinos featuring Yggdrasil titles. This looks like it should be good. I really enjoyed playing the demo versions of Sonya Blackjack last year and I’d like to see the improvements.